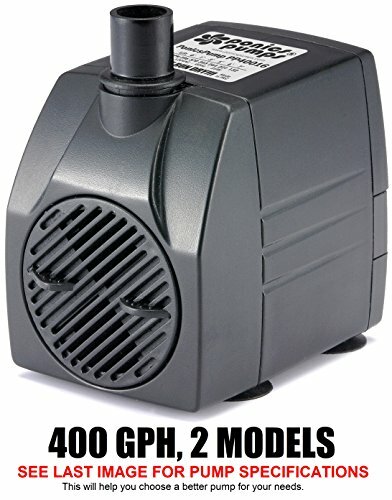 PonicsPumps Submersible Pump with for Hydroponics, Aquaponics, Fountains, Ponds, Statuary, Aquariums & more. Comes with 1 year limited warranty. (400 GPH : 16' Cord) | Fountain City Art Ctr.